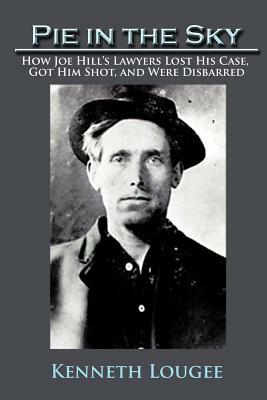 It could be said that the Joe Hill murder trial rates as one of the most important trials in Utah's history. Hill, a prolific Labor Union songwriter, was accused of murdering a Salt Lake City shopkeeper and his son during a robbery in 1914. In "Pie in the Sky, " author and trial lawyer Kenneth Lougee analyzes this case and explains the errors that were committed during the trial, which resulted in Hill's guilty verdict and subsequent execution. Interested in more than Hill's guilt or innocence, Lougee provides a thorough discussion of the case-including Hill's background with the Industrial Workers of the World, the political and religious climate in Utah at the time, the particulars of the trial, and the failings of the legal process. In this analysis, Lougee focuses on those involved in the trial, most especially the lawyers, which he describes in the text as "the worst pieces of lawyering of all time." "Pie in the Sky" presents a breakdown of this case from a lawyer's perspective and shows why this trial is still a matter of interest in the twenty-first century.